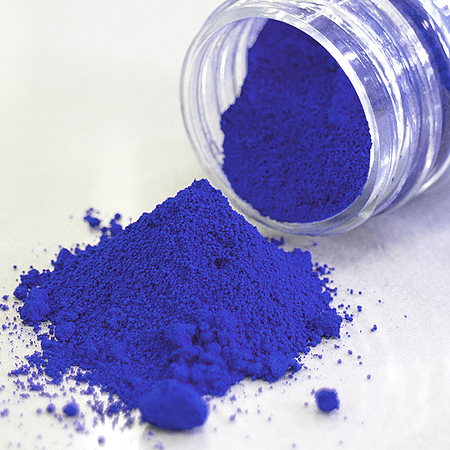 Not particularly developed for artistic purposes, the characteristics of this newly “found” inorganic pigment (quoted as the first new blue in over two centuries), “YInMn Blue”, will certainly have art applications. This is not the first of pigments in this category to find a niche use in the art world. 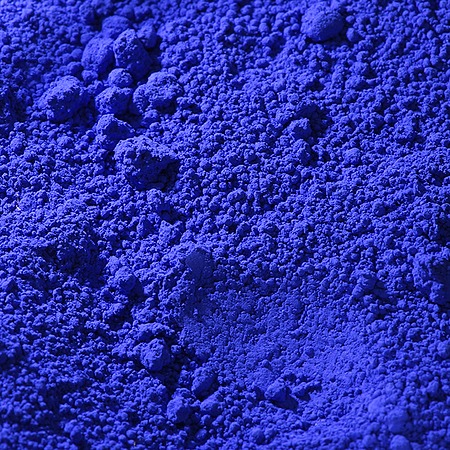 YInMn Blue is actually the result of a “happy “ accident in the research for new materials that could be used in electronic applications. In the course of the research (by an Oregon State University College of Science team lead by chemistry professor Mas Subramanian), manganese oxide was mixed with other compounds (hence the classification YlnMn which stands for Yttrium (Y), Indium (In) and Manganese (Mn) elements) and heated at high temperatures to test for structure. It was noticed that one of their samples turned out a very vivid brilliant blue colour. In artistic terms, YInMn Blue (or YlnMnBlue, as it is quoted on research notations) has a brilliant, almost shimmering look with a, maybe, very slight red undertone. Research notes from evaluation testing of samples indicates a higher optical reflectance (vividness) than other blues in the colour spectrum, this is all due to the compounds in the structure of the pigment particles. Another very important factor to consider, and in direct relation to health and safety, is that none of this pigment’s compounds are toxic.